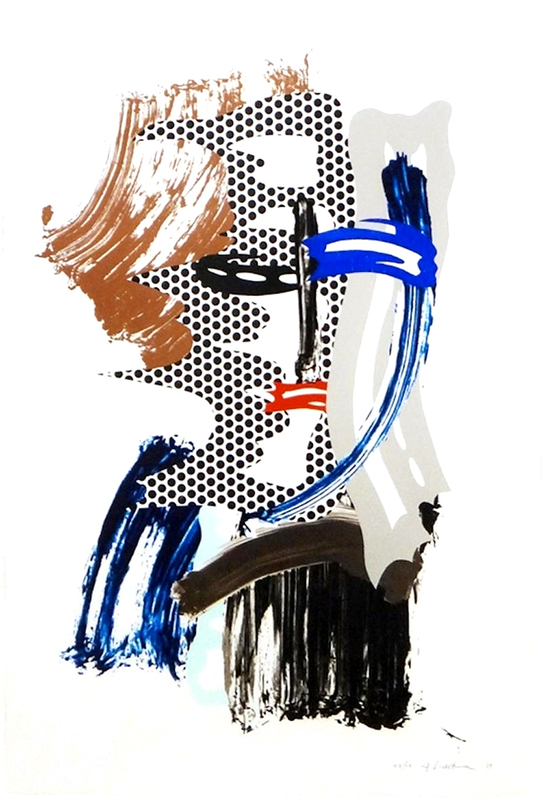 Roy Lichtenstein The Mask, from Brushstroke Figures Series, 1989 is an arrangement of varying colors and textures, combining into an abstracted suggestion of a face. 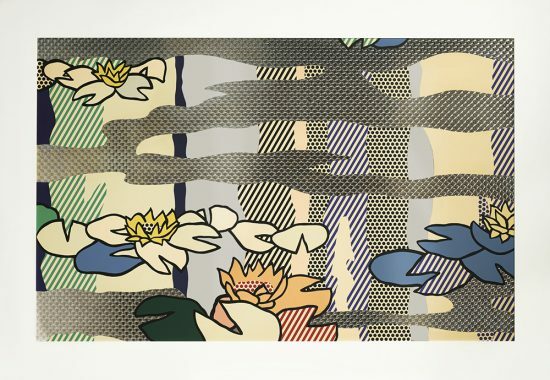 Lichtenstein’s famed Benday dots, loose and dynamic brushstrokes and graphic solid-colored shapes are layered upon each other, creating a confident composition. 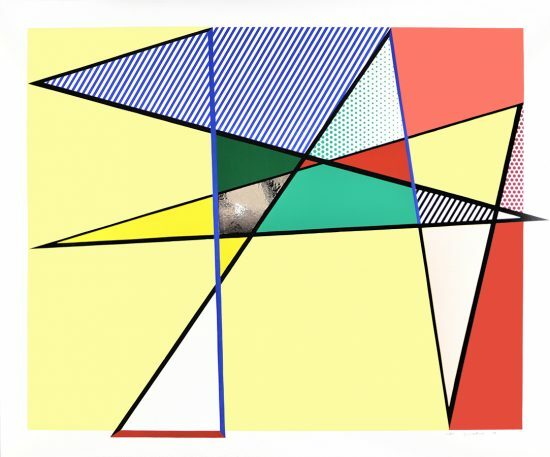 The figurative aspect of the work is well-balanced with the non-representational abstraction, making the piece a curious combination of both a portrait and a striking nonobjective collage of shapes. 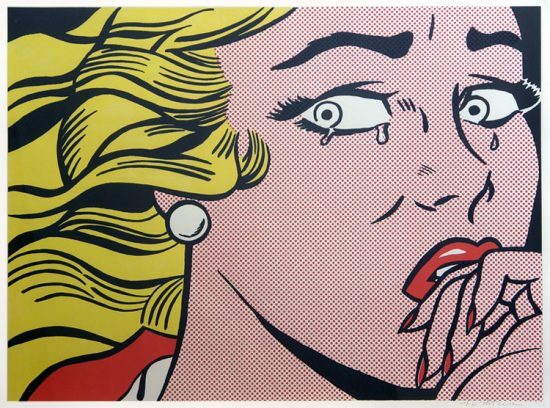 Half-closed black and blue eyes, curved in opposite directions suggest the theatrical features of a Greek comedy and tragedy masks. Combined with a straight nose line, a quick red mouth, and a swooping blue outline of a half-turned cheek, a mercurial face is formed. 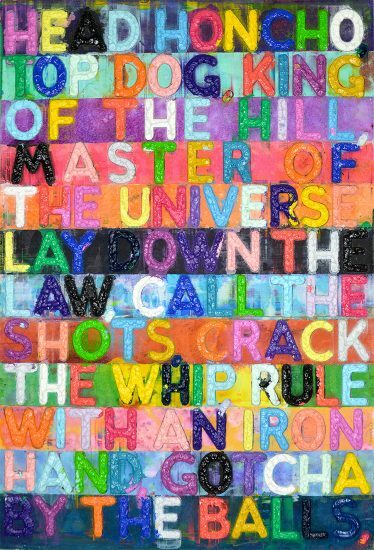 It stares at the viewer and simultaneously mixes with and dissolves into the multitude of forms and colors around it, playfully challenging the viewer’s perception of faces and figures. 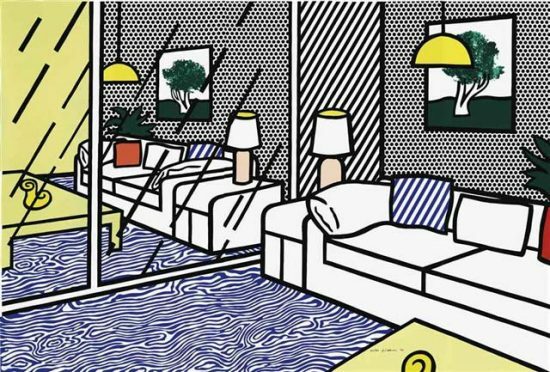 Lichtenstein masterfully combines multiple printmaking techniques to create an eye-catching abstracted work that stays true to his unique pop-art style. 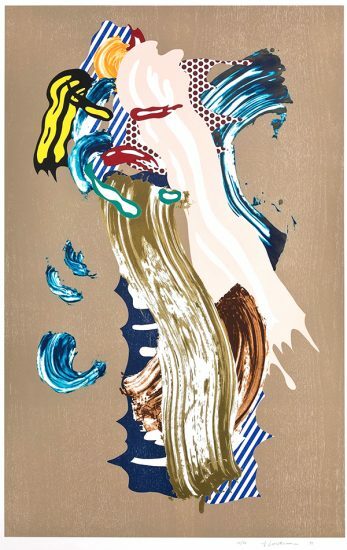 Created in 1989, Roy Lichtenstein The Mask, from Brushstroke Figures Series, 1989 is a color lithograph, waxtype, woodcut, and screenprint on cold-pressed Saunders Waterford paper. 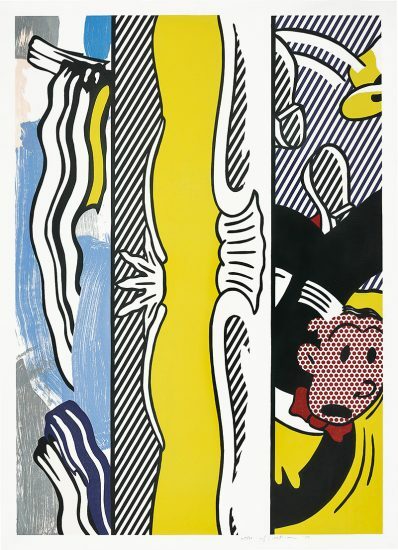 This work is hand signed and dated by Roy Lichtenstein (New York, 1923 – New York, 1997) in pencil in the lower right margin. Numbered from the edition of 60 in pencil in the lower right. 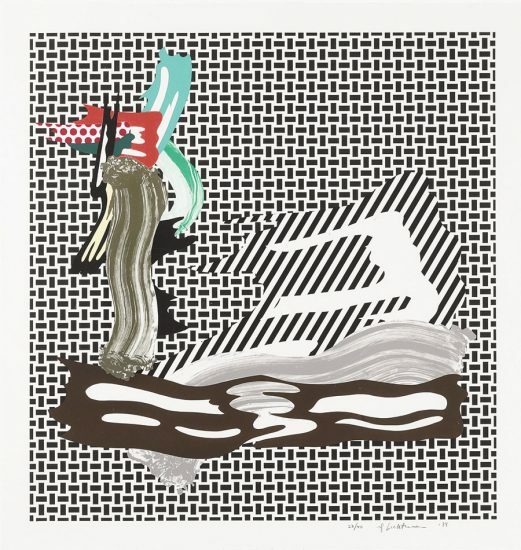 Roy Lichtenstein The Mask, from Brushstroke Figures Series, 1989 is fully documented and referenced in the below catalogue raisonnés and texts (copies will be enclosed as added documentation with the invoices that will accompany the sale of the work). 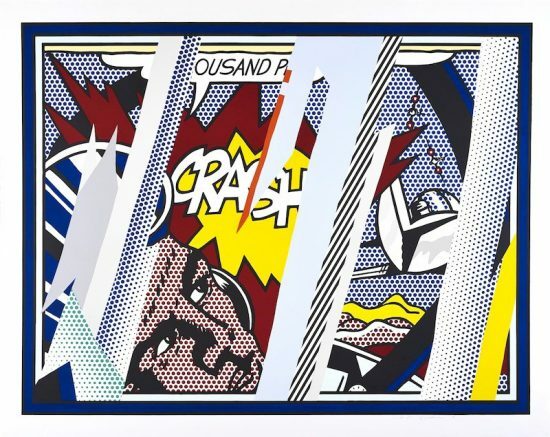 Framed to museum-grade, conservation standards, Roy Lichtenstein The Mask, from Brushstroke Figures Series, 1989 is presented in a complementary moulding and optical grade Plexiglas.